If you have the Steam version these DLCs should already be available. All in all, there’s 5 good & happy endings available in the base game, as well as various mutiny endings. This game features turn-based “battles” and puzzles. For the battles, you can redo your actions by scrolling up with your scrollwheel to revert a turn. The puzzles you’ll only need to complete 1 time each. Let’s do the cloud ruins! After finishing the routes above you’ll have all CGs (until the DLCs become available for the Mangagamer version). 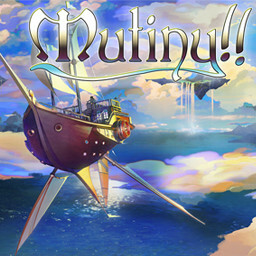 If you have the Steam version you can also get the mutiny endings achievements as well. To do this, choose a first mate (Load Slot 1) and lose all the battles during the story. You’ll then have to this for each of the first mate options. If you liked this game you might also want to check out the other visual novels by Studio Lupiesoft here.